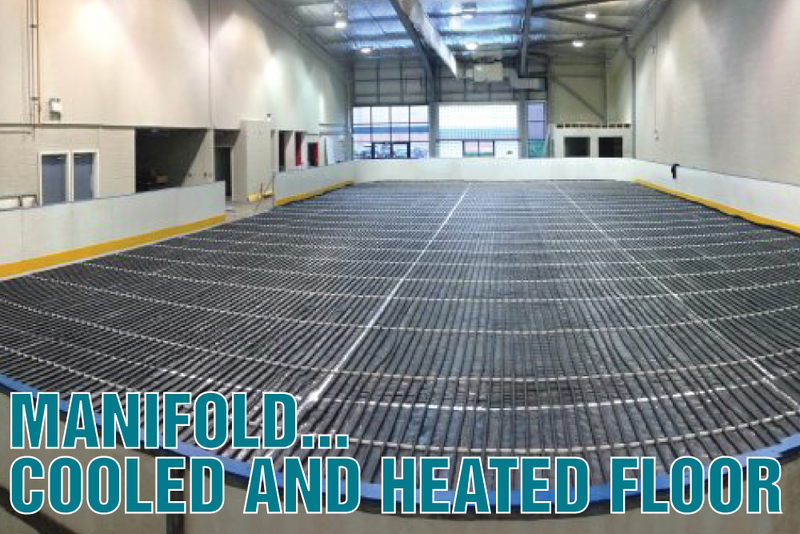 We have the knowledge of under floor heat/cooling, we have been able to apply this knowledge to ice rink cooling systems, which have been great successes all over the country. Utilizing on-site manufacturing capabilities we are able to produce bespoke manifolds as per customer designs or offer an on-site consultancy service which allows us to create suitable manifolds with minimal compromise. We can supply small diameter pipe from Ã˜25mm along with our compact 25mm U-bend fitting which is perfect for ice rink under floor cooling systems.